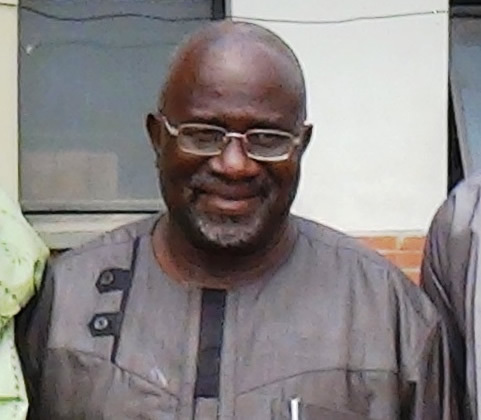 Two communities in the Otukpo Local Government Area of Benue State have accused the Vice-Chancellor of the Federal University of Agriculture, Makurdi, Prof. Emmanuel Kucha, of diverting over N100m meant for them. The communities are Otobi and Akwete. It was gathered that the Federal Government through the Tertiary Education Fund allegedly released N800m to Kucha in respect of a large portion of land acquired from the two communities to site the proposed University of Health Sciences, Otukpo as approved by former President Goodluck Jonathan. It was further learnt that the current administration of President Muhammadu Buhari had decided to convert the proposed university to a faculty or college of science at the University of Agriculture Makurdi, a development that had prompted TetFund, to release the said funds to the VC for onward payment of compensation to the individual owners of the land in the two communities. However, the money could not be released to the beneficiaries before the expiration of the Jonathan government but when Buhari came on board; he reapproved the payment of the funds. Our correspondent reliably gathered that N200m out of the N800m meant for the beneficiaries was released to Kucha in February 2016. The beneficiaries have, however, claimed they have not been paid. A member of the Otobi Community where the project was sited who is also a beneficiary of the money, Mr. Ability Idoko, told our correspondent that ever since the money was released to Kucha, he had subjected members of the two communities to untold hardship by making them to go through rigorous screening and unmerited exercises. Idoko said, ‘’We were formally informed that the Federal Government approved the sum of N800m but when the VC came to hold a meeting with the communities, he told us that the money was no longer N800m but N200m. We agreed with him and urged him to kick start the immediate payment of the compensation so as to enable them to establish themselves business wise. Idoko added that after the committee worked out the procedures, a few people received payment worth N100m. He said the members of the communities had met the VC on several occasions to impress on him the need to complete the payment, but nothing was forthcoming. Another beneficiary who identified himself as Martins Agbogo from the Akwete community said the first batch that benefited from the funds had their money split into four equal parts. He alleged that one part of the money was usually given to the beneficiaries, while three parts went back to the university. He said, “This issue has really brought untold hardship to our people, because we have abandoned the land for the university. It was the land which we used for farming. We even went ahead to borrow money from local banks with the hope of getting money to pay back. Now the money is not forthcoming. But Kucha said he received N200m from the Federal Government for the compensation of the Otobi and Akwete communities. He added that he had paid over N100m as compensation to the community while the remaining balance was returned to the Central Bank of Nigeria. Kucha said,’’ All these people are saying is not true. Let me throw more light on it. At first, when we did evaluation using the government procedure, we came out with a bill of N800m. When I reported this to the then Senate President (David Mark), the man was very bitter. He said he was going to move it (the university) from there to another place unless they agreed to take N200m compensation.